It's the first Wednesday in May, and we are excited to have you here with us once again! The May release has just gone live, and I'm pretty sure that you will love it. Pair it with this week's sketch, and you're certain to be sneaking off to your craft room after all of the inspiration you're about to see. 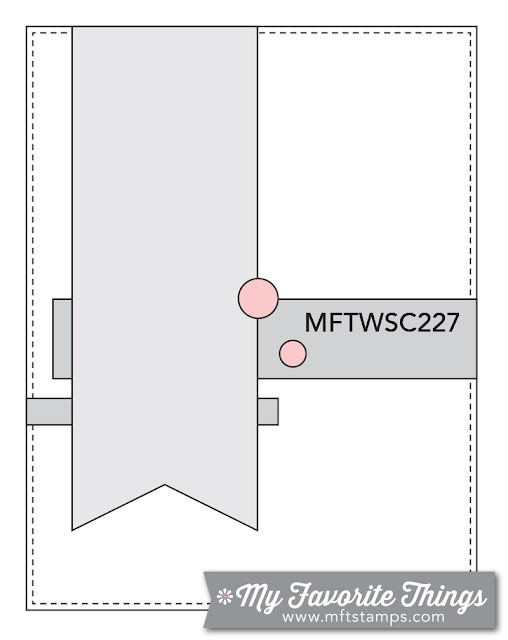 Below you'll find Sketch 227. Create cards, scrapbook layouts, home decor, treat containers, mixed media, etc. using this week's sketch and be sure to link your project below for a chance at the weekly My Favorite Things Gift Voucher worth up to $20. Were you spotted last week? 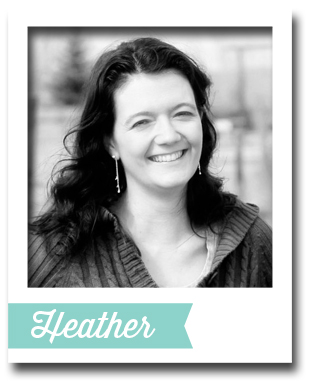 Be sure to check out this post in case you missed it! 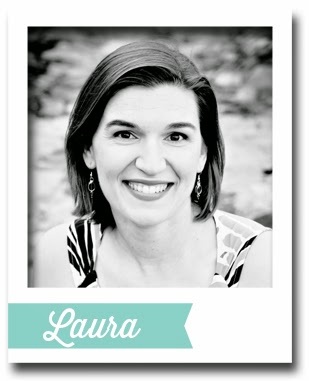 Please give a hearty MFT Challenge & Inspiration welcome to our talented May Guest Designer, Lorena Cantó! One of my absolute favorite things about this hobby is the ability to connect with creative types from all over the globe. I first "met" Spanish paper crafter Lorena back in 2011 when her first cards were published in Paper Crafts magazine. Lorena now lives in Bolivia which is smack dab in the center of South America. 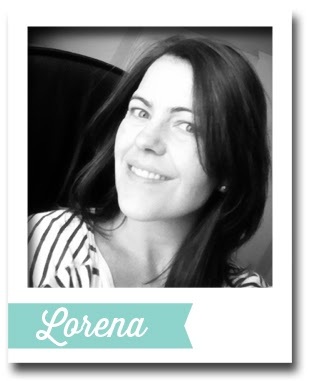 I had the good fortune of meeting Lorena in person once, and her personality is as engaging as her card making style. 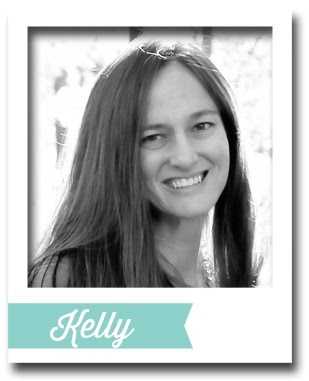 I'm positive you will find much inspiration in her designs this month! Lorena told me that she took the sketch down to the bare bones. If you look closely, the tie takes the place of the banner, and the sentiment becomes the two horizontal strips. I think it's quite clever! The Challenge Team had fun with the sketch this week (don't they ALWAYS?). Let's see what creative things they have up their sleeves. 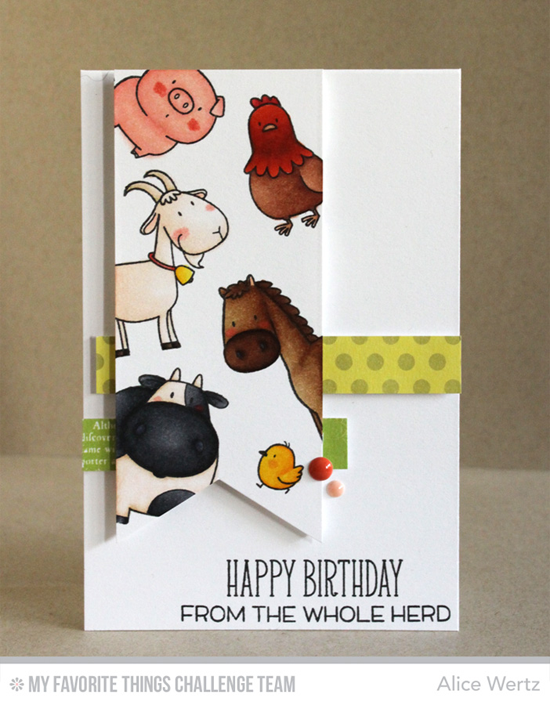 Alice took the opportunity to feature the brand new Birdie Brown The Whole Herd stamp set on the banner in the sketch. What a great card to give to a coworker! Who wouldn't love this quirky cascading menagerie of farm animals? SO cute! 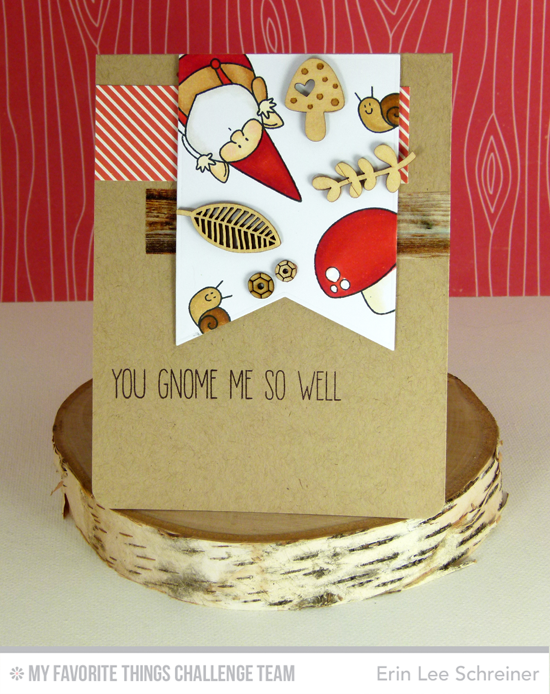 Similar to Alice, Erin's banner features several cute images from the You Gnome Me stamp set. I love the texture she added with the wooden accents. Jill attacked the sketch in her signature colorful style. 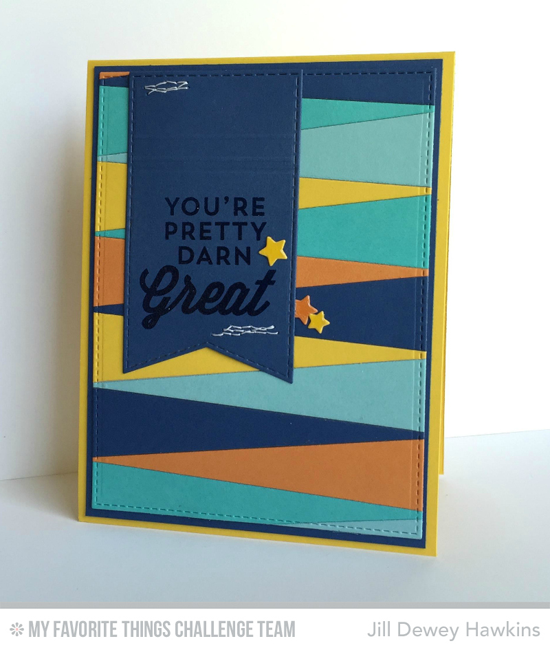 I love what she did with the brand new Blueprints 25 Die-namics and For the Boys stamp set! 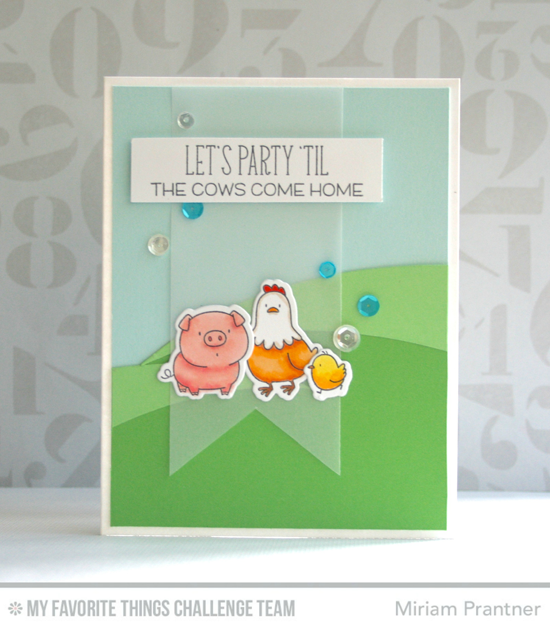 A vellum banner, rolling hills, and three fun barnyard creatures create a whimsical design. I love how Miriam used a crisp white card base to frame up the fun! Vera turned the sketch on its side. The bench and the grass are the banner of the sketch, and the gnome and watering can take the place of the horizontal strips. That's stretching it, but in creativity, that's totally kosher. So don't be afraid to take your imagination for a ride! 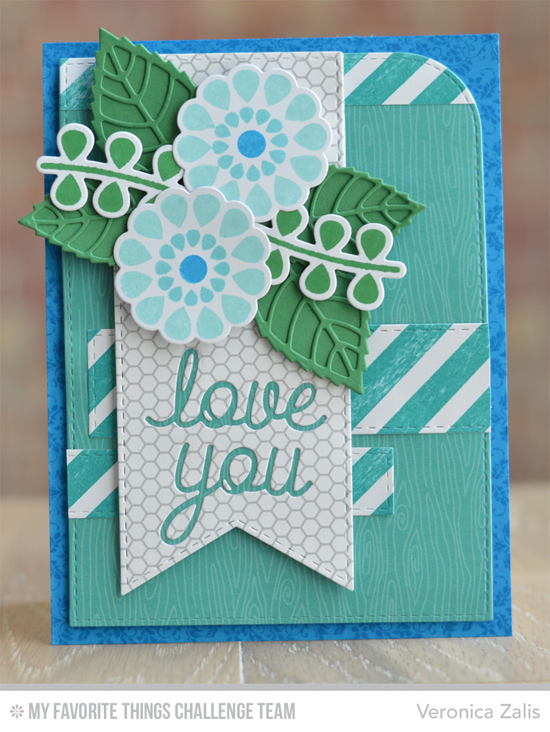 Veronica features a beautiful bouquet in cool colors using the brand new Miss Tiina Build-able Blooms stamp set and dies. 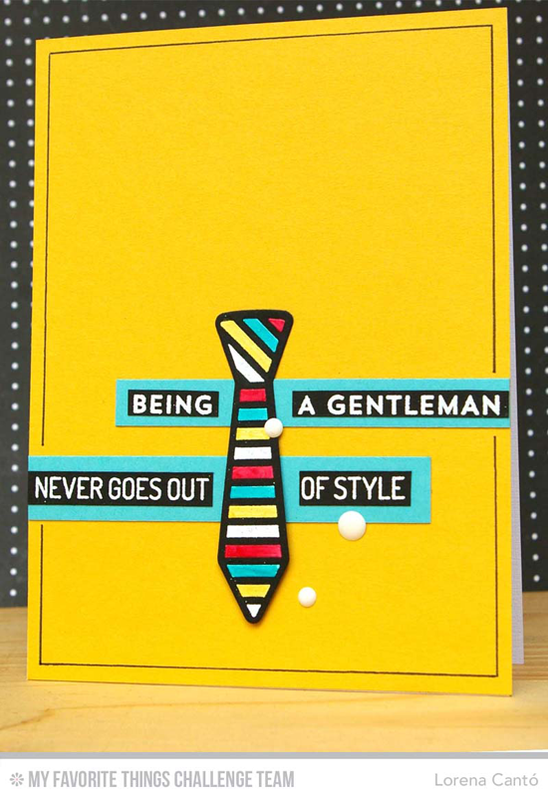 Wouldn't this be a lovely card for Mom on Mother's Day? Congratulations, Carolina F.! You are the randomly selected winner of last week’s sketch challenge. You can view all the entries for last week’s challenge HERE. You have until Tuesday, May 12th, at noon EDT to add your link and be eligible for the prize of up to $20 in MFT Cash to be spent in the MFT boutique. Winners are chosen at random, so everyone has a chance! The weekly prize is a $15 Gift Voucher to My Favorite Things, but if you use MFT stamps and/or dies in your project, you’ll receive an extra $5. Don't miss our May release! 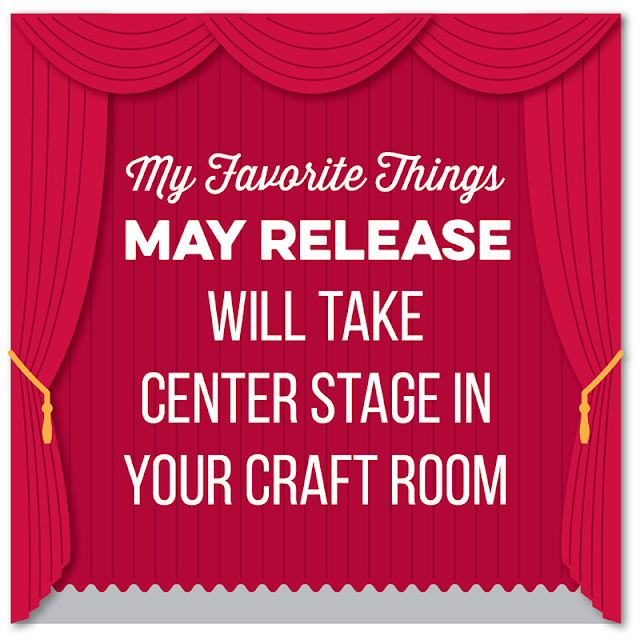 It's filled with all sorts of fun products you'll want to add to your creative arsenal! Check it out at mftstamps.com! Oh my gosh, I love ALL these cards and the products used for them! Awesome cards, so creative! Great sketch! Fun sketch--amazing array of samples by the DT! I see the design team continues to impress. =) Happy to play along again, #48.